1997 South Carolina Road Race – 1st place, Cat 1/2/3 state championship. 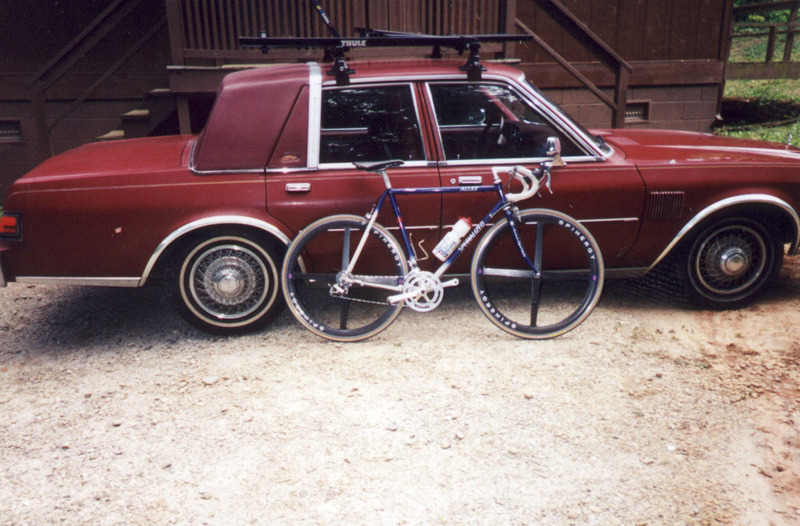 I didn’t have a camera with me so when I made it back to Clemson I snapped this pic of my bike and my car. The race was at the Donaldson Center in Greenville and I won on a solo breakaway but finished same time as the field sprint won by my roommate Bert Hull who earned the state championship medal by winning the field sprint since I was out of state. Published August 7, 2012 at 1431 × 941 in Palmarés Updated, 1993-2006.